One of my favorite things is making ugly things beautiful. Especially if they are cheap. I am all about budget decorating ideas. Remember my hubcap wreath from last Christmas? (I’ll totally make you one to order!) And this baby shower wreath from a whole pile of ugly? 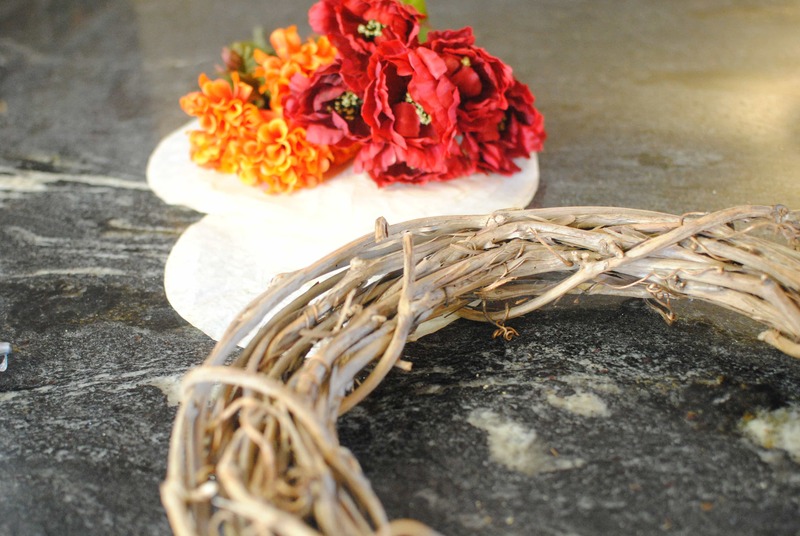 I actually had a hard time finding a super ugly wreath to transform—at least for a good price. 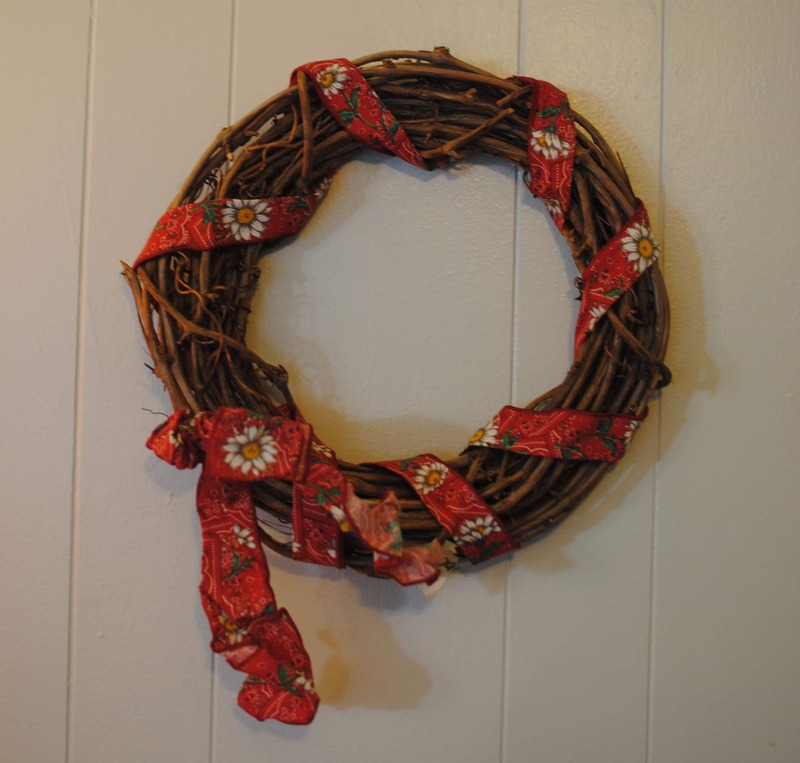 I found several ugly wreaths for $10, but who’s going to pay that? I found this bad boy for $2, a magic number. This sad little number was begging for some help. I considered leaving the base the same, as I love a good branch-y wreath, but it wasn’t in good shape. Plus I had a whole bunch of tea-stained coffee filters that needed a home. So I used coffee filters I already had, hot glue I already had, and bought $1.50 worth of fake fall-colored flowers from Michaels. New cost: $3.40. Cost of supplies I had: um…maybe $2, max? This took ten minutes or less. 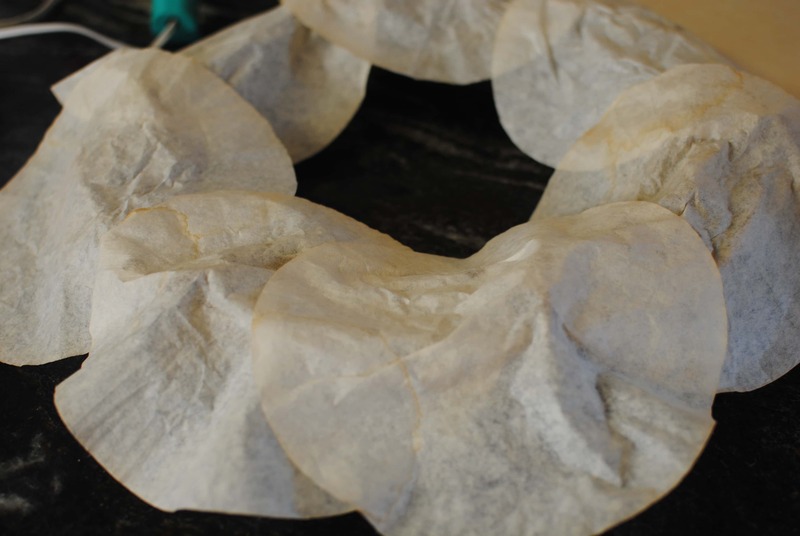 I glued the coffee filters on with hot glue, then wrapped the whole thing in a brown twine I had in my craft closet. That’s right—I have a craft closet. More glue for the flowers and TA DA! 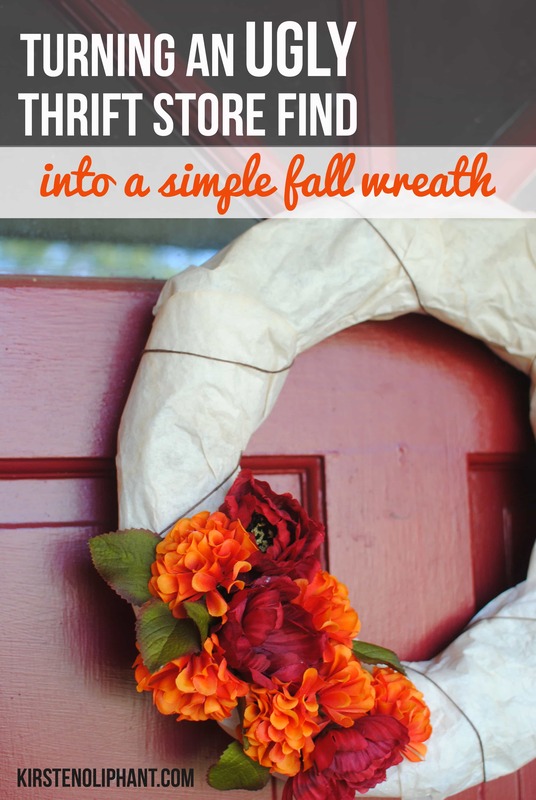 A simple fall wreath. Nothing amazing, but simple, cheap, and pretty. Plus, I feel like I did a good deed putting that ugly wreath out of its misery. Right? 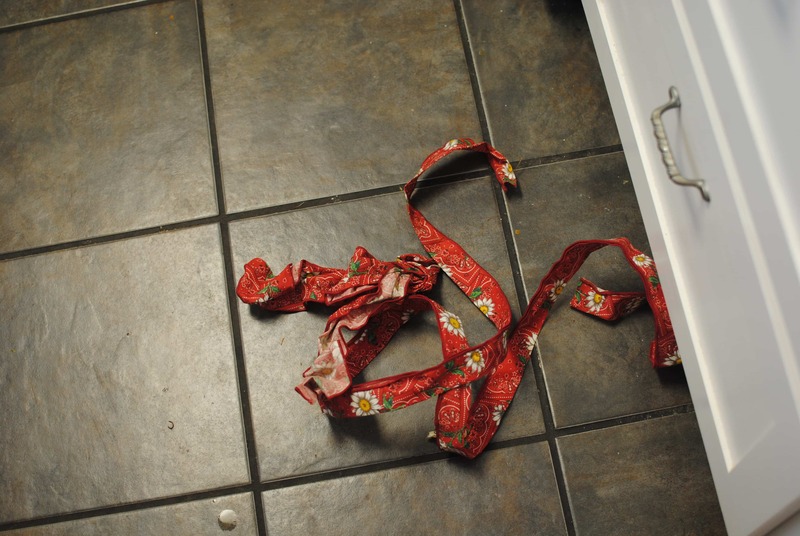 I’m linking up with Sparkles and a Stove for All Things Pretty. Come see other great crafts and recipes! Lovely… I like this kind of DIY, transforming old stuffs and pretty cool new one. Well Done. Thank you! This one wasn’t the most amazing, but I’m pretty happy I got a pretty wreath for under $5. Just step away from the glue gun and the craft stores. That whole project was so not worth it. You transformed an ugly wreath into an UGLIER wreath. And REALLY??? USED filters. Ewwww…. Sorry you don’t like my style! They weren’t used filters, but leftover from another project. It’s been hanging on the door for months and the neighbors seem pretty happy with it. I also really like it, so I think we’ll just have to agree to disagree. 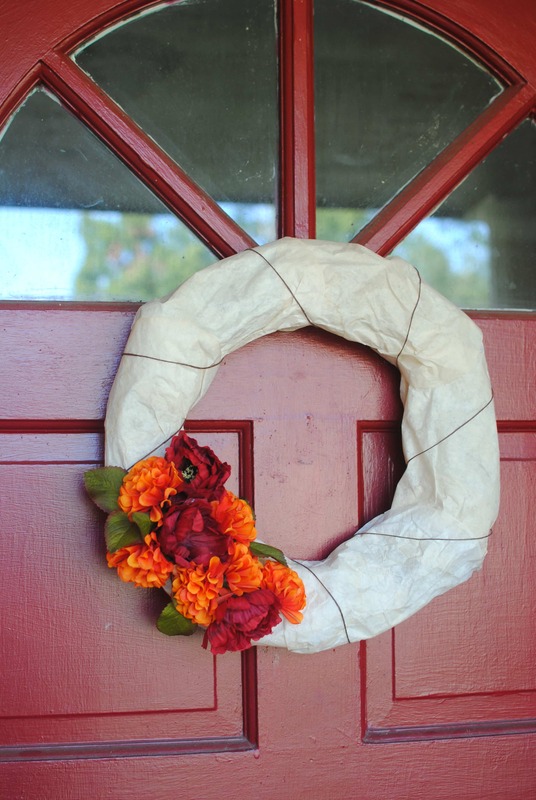 What kind of wreaths do you like? loading velocity is amazing. It seems that you’re doing any unique trick. Furthermore, The contents are masterwork. you’ve performed a excellent process on this subject! I was looking for home decorating tips with budget-friendly ideas. Thanks for sharing this great resource with us.